How could the town that once served as home to Thomas Jefferson, Edgar Allan Poe, and Dave Matthews be anything but eccentric and wonderful? With freshly-minted driver’s licenses in hand, my high school friends and I took three road trips from Michigan to Charlottesville, Virginia in the course of a year. We slept in a hostel (since closed) and our van, watched Disco Biscuits play the pavilion, and saw our first wild bear while camping on the Appalachian Trail. We went back for good reason. The Shenandoah, the wineries and breweries, the Downtown Mall, and the UVA campus make Charlottesville one of Appalachia’s most charming and dynamic towns. The UVA campus was designed by founding father and famous Charlottesville resident Thomas Jefferson. Because life is weak and weary before the drip of coffee, hit the Mudhouse for a java and a croissant. Mornings are universally the best time to feel the pulse of a town, so stroll the nearby Mall, eight pedestrian-only blocks of old buildings, eclectic shops, and farm-to-table restaurants then wander over to the University of Virginia campus, one of the most beautiful in the country. In today’s era of the unaesthetic modern campus, The University of Virginia stands apart with its classical Roman aire. You can thank Charlottesville’s ingenious former resident Thomas Jefferson for that. He designed his “academic village” in 1817 and in effect invented the American college campus. Early dorm rooms, which flank a gorgeous quad, are still in use, one of which once belonged to Edgar Allan Poe. The current student body is a funky collection of bohemians, intellectuals, and southern elites. Numerous Appalachian thru-hikers remember Shenandoah National Park as their favorite section. I 64 west out of Charlottesville quickly puts you in the lap of the Shenandoah, which is then best accessed via Skyline Drive. This 109-mile, 35-mph, road winds north through the heart of the park, where whitetail deer frolic, black bears lumber, and the changing seasons create dramatic moods. The Blue Ridge Parkway is easily accessible from downtown Charlottesville. Among scores of convenient hiking routes off Skyline Drive, Moorman’s River offers easy access to eye candy with a family-friendly gradient. Prepare for some wet crossings, and if the river is a bit swollen Big Branch Falls is all the more impressive. 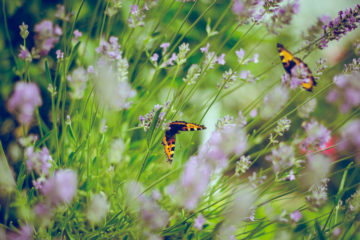 Head north to Riprap Trail for a bigger bite of Shenandoah scenery. This nine-mile jaunt begets 2,300 feet of elevation change, sweating-palm overlooks, expansive vistas, and a swimming hole teeming with brook trout. Slightly closer to Charlottesville, and south of Skyline Drive, Humpback Rocks Recreation Area attracts hikers with its breathtaking panoramas of the Blue Ridge Mountains. 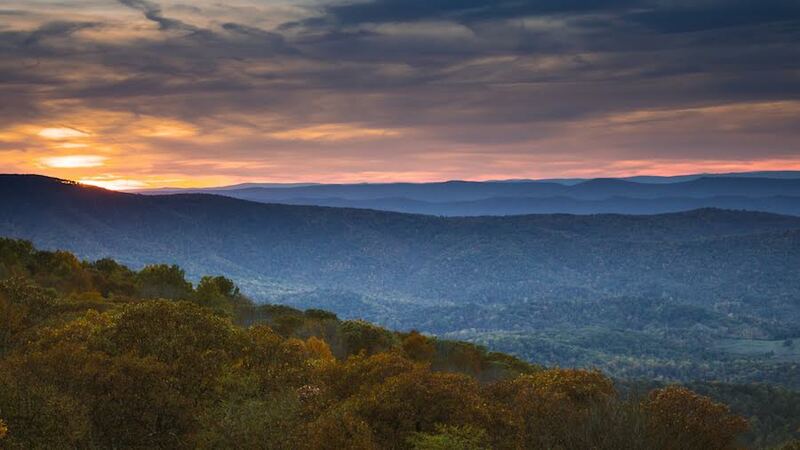 For more info and hiking and camping in Shenandoah National Park click here. If any Appalachian town rivals Asheville, North Carolina in libations, it is Charlottesville, especially considering its upperhand in vintning. If you’re hiking in the Shenandoah, Starr Hill Brewery is the perfect place for a post-trek suds. Enjoy live music, like the Central VA Blues Society jam sessions, as you slurp on a pint of Reviver Red IPA, Little Red Roostar Coffee Cream Stout, or a Northern Lights IPA. Long-time Deadhead Mark Thompson led Charlottesville’s microbrew charge when he founded Starr Hill in 1999. If you happen to be in the area on Saturday, June 25 check out Starr Hill’s “IPA JAMBEEREE” at the Hangar Park, across the street from the brewery. During the event craft beer fans will have the opportunity to sample over 40 different IPAs from more than a dozen Virginia breweries. More info here. 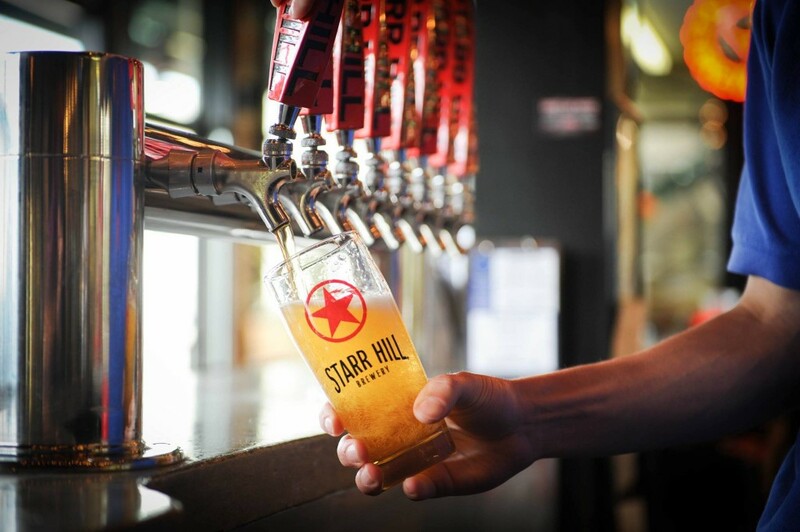 Star Hill Brewing is one of Albemarle County’s oldest microbreweries. As far as lodging goes, the nearby Inn at Sugar Hollow is an inviting option if you’re high end. 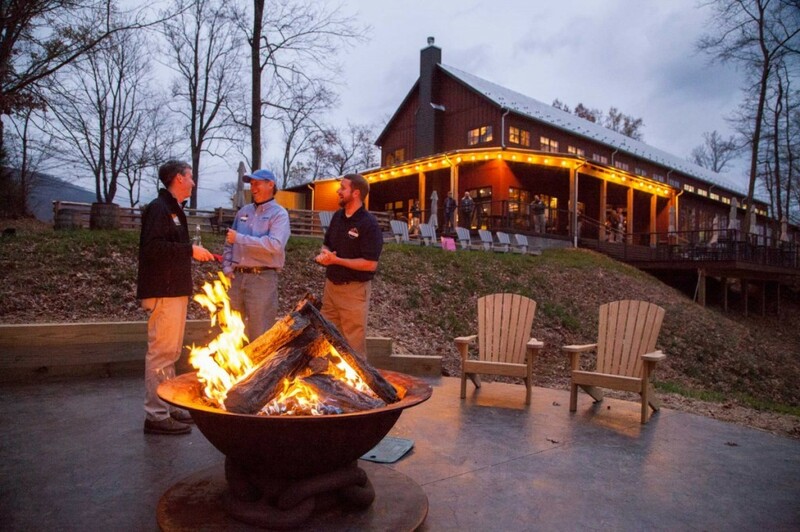 For roughly $250 a night, warm up by the fireplace or cool off on a terrace, either way you’ll relish the Shenandoah scenery. Save a little cash and forgo the Main House in favor of Sugar Hollow’s 1905 Farmhouse, perched along the Moorman River with rooms starting at $160 night. Prefer to dirtbag it? Pitch a tent in the Shenandoah. Make sure you first obtain a free camping permit. There is an AT Shelter on Calf Mountain off the south end of Skyline Drive, eight miles into the backcountry and only 20 miles from downtown Charlottesville. If you’re looking for reasonable digs in Charlottesville, try the Cavalier Inn. Basic rooms, good location, and a continental breakfast start at $89.00. From Humpback Rocks Recreation Area, a 15-minute detour south brings you to Nelson County’s Devils Backbone Brewery. With the charm of a Rocky Mountain ski resort and the lushness off an Appalachian valley, Devil’s Backbone is the perfect place to wallow away an evening on award-winning barbecue brisket and 20 outdoors taps. Enjoy a Vienna Lager or a Seven Summits Imperial Stout in the shadow of three towering ridges. With 100-acres of property, you can bring your hiking boots and mountain bike for a hop on their trails. Regular events like 5Ks, live music, and camping festivals always make for an exciting visit. The Brewery even offers two onsite rental houses if you want to set up base camp. This brewery combined with Blue Mountain Brewery and Wild Wolf Brewery, form what has become known as the Brew Ridge Trail. If your thirst is strong enough and you’ve got access to designated transportation consider hitting all three. You’ll be happy you did. Also located in bucolic Nelson County just down the road from Devil’s Backbone, the Bold Rock Cider Barn is a destination in its own right. The ‘Chapel of Apple’, as it is affectionately known, is a beautifully rustic timber frame barn overlooking the Rockfish River and the picturesque Blue Ridge Mountains, and the cider, made with the freshest apples sourced from local orchards, is hard to beat. No trip to Charlottesville or Nelson County would be complete with a stop in at Bold Rock’s Nellysford Cider Barn. Also located in bucolic Nelson County just down the road from Devil’s Backbone, the Bold Rock Cider Barn is a destination in its own right. South of town Moose’s by the Creek, serves up tasty southern breakfasts along Mink Creek. On top of warm hospitality and low prices, you can have your picture taken with a giant moose rack around your head. Road cyclists fully endorse the presidential parkways. Take the Thomas Jefferson Parkway south of town past Michie Tavern, an old pioneer estate and pub, and Jefferson’s Monticello. The founding father’s iconic abode and the UVA campus together form one of only three man-made UNESCO World Heritage Sites in America. 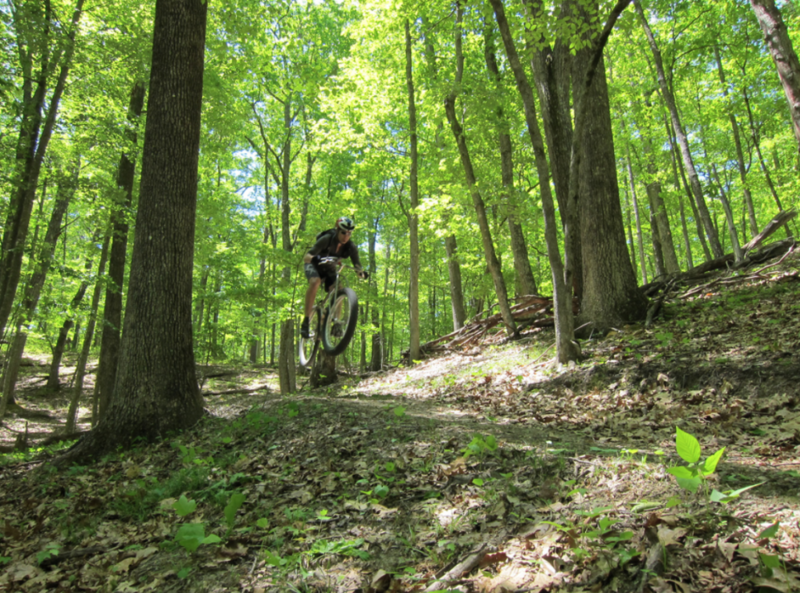 Mountain biking and road cycling opportunities abound in and around Charlottesville. The Jefferson Parkway eventually connects to the James Monroe Parkway, which leads through white-fence farmland, rolling wineries, and chirping woodlands. If your in your chamois you might skip Trump Winery and take a break at Blenheim Vineyards. Owned by Dave Matthews, Blenheim offers beautiful views and free tastings of house wines with familiar names, like Dreaming Tree. If you’ve got some gas left on your pedal home, charge up Carter Mountain Trail for stunning views over Carter Mountain Orchard. Mountain bikers can get the goods without even leaving town. Right behind UVA at Observatory Hill, five miles of trail offer tech, climbs, and quick little bombs. For slightly more challenging trails, head west out of town to Mint Spring Loops or north to Preddy Creek, both systems offer about five miles of technical single track. For a big mountain feel and more mileage head west to George Washington National Forest, specifically to the GWNS Waynesboro or Sherando Lake systems. Bikers should visit Blue Ridge Cyclery in downtown Charlottesville for rentals, repairs, and advice. More on the Charlottesville mountain biking scene here. For those who would rather toss a fly than churn the pedals, Albermarle county has plenty to offer. The Albermarle Angler, located just north of downtown, will hook you up with licenses, guides, gear, and advice. Popular holes can be found on the North Fork of Moormans River, the Jackson River, and the Tye River. 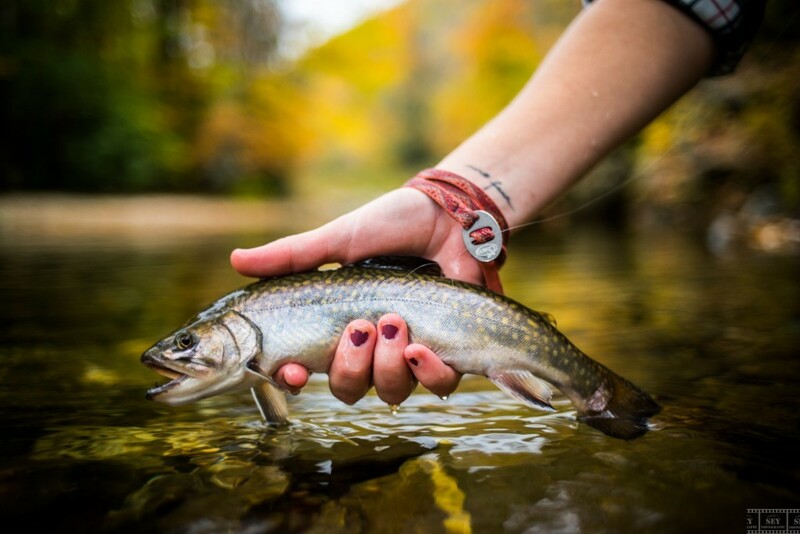 Shenandoah mountain streams are known for their feisty native brook trout. Whether it’s a late lunch, an early dinner or a midnight snack, recover with grass-fed beef from Citizen Burger. Touting a farm-to-table ethos, this hip little joint on the Mall serves up big portions for low prices. If a hamburger is too middle America, hit Tavola for Italian grub or go to Mas Tapas for delectable small plates. Citizen Burger Bar offers farm-to-table fare on Charlottesville’s unique pedestrian mall. Live music at one of Charlottesville’s stellar venues is a must. The most obvious choice is the nTelos Wireless Pavilion, located at the end of the Mall. Widespread Panic comes to town on April 28th and Ray Lamontagne takes the stage July 20th, where the outdoor ambiance epitomizes summer. 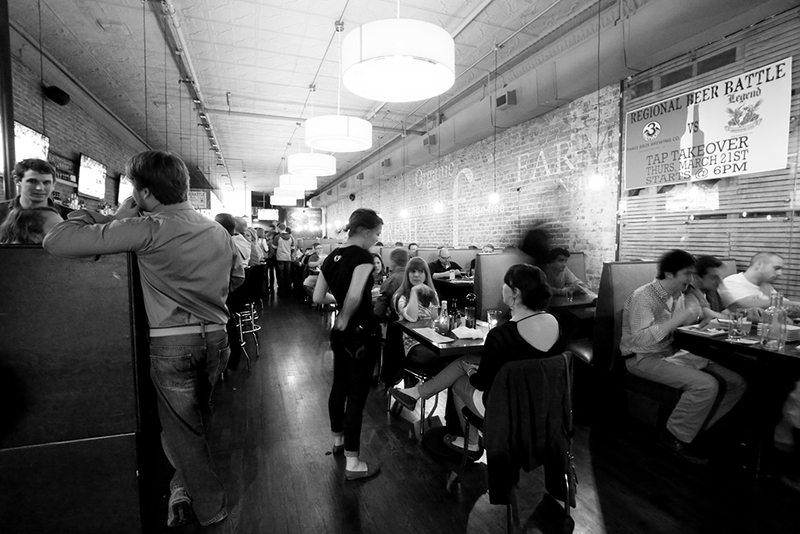 Check out the Whiskey Jar for all your night cap and comfort food needs. Other music options include The Jefferson Theater, The Paramount, Twisted Branch Tea Bazaar, and Southern Cafe and Music Hall. Of course street musicians are easy to find. On one occasion two buskers mesmerized me with Radiohead B-sides. Such are the chance encounters in town as charming and eclectic as Charlottesville.In the wee hours, Miller’s, a small bar located along the Mall, regularly hosts impromptu jazz jams. Dave Matthews, formerly a Miller’s bartender, met his mates and began playing here in the early 90s’. 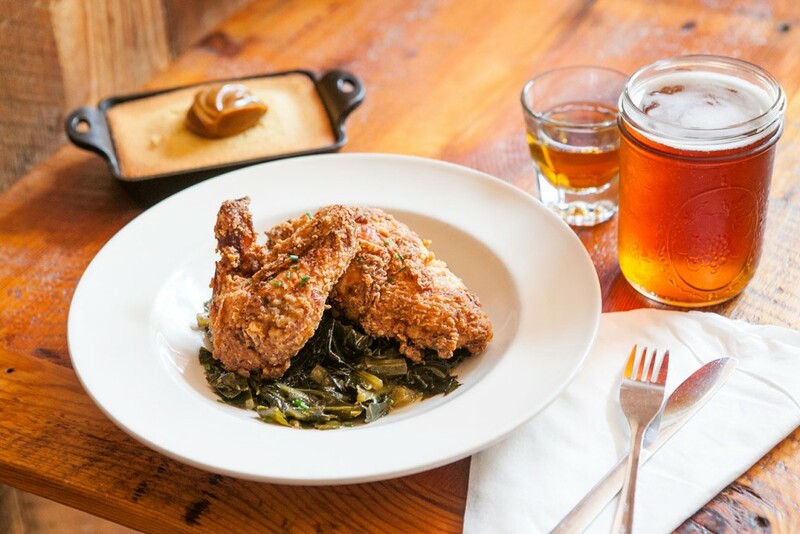 Afterward stroll over to the Whiskey Jar, the perfect place for a night cap and late night comfort food. Since boyhood Phil Morgan has loved maps, adventure, travel, culture, history, and good stories. He studied the liberal arts at Hillsdale College and has since worked as an ocean lifeguard, a staff writer for Eastern Surf Magazine, a newspaper editor, and a raft guide. He currently lives in Hendersonville, North Carolina, where he teaches English, writes, and explores the surrounding wilderness.